“I am hoping that there is another book in this world as one just simply wasn’t enough. Absolutely brilliant and highly recommended.” ~ Merissa, Archaeolibrarian – I Dig Good Books! Sheryl Winters lives in a small town in Alaska. She grew up in the midst of old country story tellers, so you might say writing comes naturally to her. She is known for writing paranormal romances with a twist. Her writing inspiration often comes from the great outdoors of Alaska and she enfolds bits of it into her stories. For further inspiration, she has raised a menagerie of cats and dogs to the aged spirits they have become. 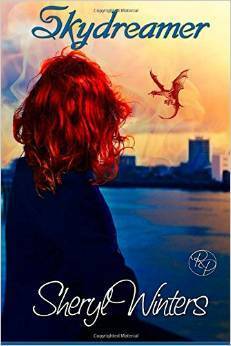 Skydreamer by Sheryl Winters– ARCs for read and review!